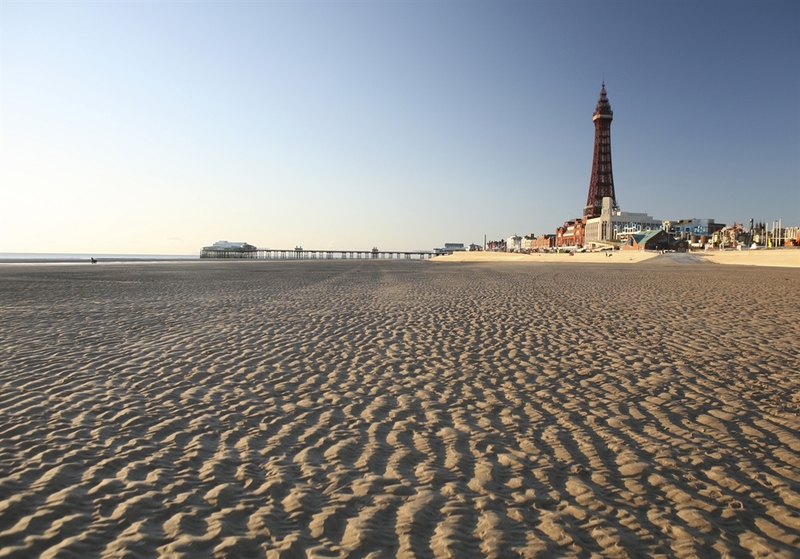 Let’s take a look at what you’ll find along Blackpool’s famous Golden Mile. Enjoy the Great Promenade Show! A giant mirror ball will leave you reflecting on an aesthetically pleasing stretch of rejuvenated promenade at South Beach. It’s part of the Great Promenade Show where some of the country’s top artists and designers have created two kilometres of gobsmacking sculptures and lighting. It’s certainly a break from the norm for Blackpool, but one that has gone down a storm with visitors. Mixing with our old-school seaside resort, Blackpool’s gone all continental with its own Spanish-style Steps. When the town redesigned its sea defences, in a project totalling £80m, it did so in style, with the creation of six new headlands, sculpted spaces and the Spanish Steps leading down to the sea. When in Blackpool, do as the Romans do! The only Blackpool Pier to hold Grade II listed status, the North Pier is a wonderful starting point for exploring Blackpool’s beaches. It is home to the North Pier Theatre, which hosts regular comedy and musical acts, while families will love the Victorian tea room, two-tier Venetian Carousel and ice cream parlour. You will also find an arcade where you can play the famous penny slots, and if you look carefully you will also notice the first ever Sooty puppet, purchased by original TV show presenter Harry Corbett in 1948. You won’t have to walk far to find yourself in the shadow of The Blackpool Tower. While you’re here, it’s worth wandering up the steps from the beach to the entertaining Comedy Carpet, featuring a collection of hilarious quotes from some of the most iconic comedians to have made the country laugh over the years, many of whom started out performing in Blackpool. If you want to be at the heart of the action, this is the place to put up your sun-loungers. Walk a little further down the beach, past SEA LIFE Blackpool and Madame Tussauds, and you’ll reach the Central Pier. Its most striking feature is its 108ft-high ferris wheel, which gives you a unique perspective of Blackpool and affords superb views across the Irish Sea. The Central Pier is extremely family-friendly, with arcade games, a funfair and the popular Funhouse Family Bar. The South Pier is a brilliant attraction for families, particularly for the Blue Flag beach opposite Blackpool Pleasure Beach. This latest accolade marks the excellent sea quality, and makes this the perfect location for paddling in the waves or having a seaside picnic. By the time you’ve explored all the beaches between the Central and South Piers, you’ll find yourself near Sandcastle Waterpark and Blackpool Pleasure Beach. The South Pier certainly does its best to fit in with the thrills and adventure on offer at these two attractions, with plenty to keep all ages entertained. The whole pier is a mini theme park, featuring go-karting, dodgems, waltzers, the Crazy Mouse rollercoaster, Skycoaster, Skyscreamer bungee ride, Spider Mountain climbing frame and Maxibounce trampolines. There is also a Kiddies Ride Arena for younger children, and when everyone’s tired out you can enjoy a drink in the Laughing Donkey Family Bar, which also hosts live entertainment. As you can see, there are plenty of exciting ways to keep your whole family occupied along Blackpool’s brilliant beaches. The only question is, how will you fit everything in?